Shower enclosures used to be just a square box with a glass door but with the array of materials available today, it would be a shame to not design your shower enclosure to seamlessly match your bathroom. Take inspiration from the 10 stylish ideas for shower enclosures below! Clean, sleek, and can fit with almost any interiors, this currently very popular option is modern, understated, clean, and elegant. The glass is easy to maintain, plus with the classic design, you may not need to remodel, ever. For those who are not a fan of doors, then using glass blocks to enclose your shower will be perfect for you! Glass blocks are convenient and can match different sorts of interior design because it comes in various patterns, thickness, and colours. A frosted white glass block enclosure will be a stunner! Aluminum framing that’s set with glass panels makes for a unique shower surround that exudes flair. If you manage to get some tiles that match your aluminum, then you’d be in for a rare visual treat! If space is at a premium in your bathroom, then going for sliding glass doors will save you both space and money. This shower enclosure can be made totally frameless too! There’s no rule saying that showers should only have a single entrance. Having two entrances on each side not only saves space because it eliminates the need for a door but it also ‘produces’ space and makes a bathroom look and feel larger. 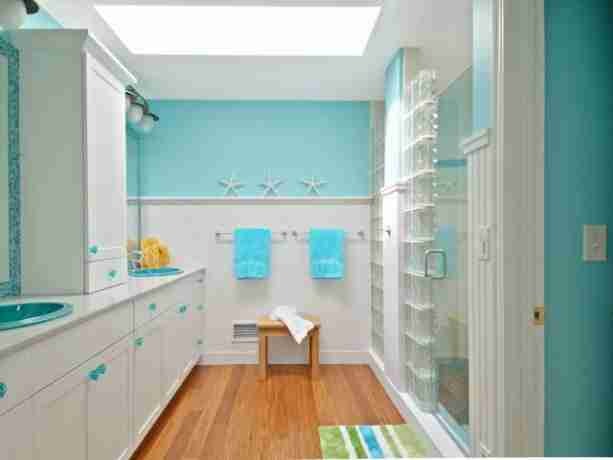 Tall, narrow bathrooms will be the best candidate for this type of enclosure. If frosted glass is not your thing but you still want some privacy without completely blurring out your shower behind a wall of glass, the textured glass is the option for you! It has a see-through effect that imbibes your bathroom with a spa-like feel. You shouldn’t have to be stuck with a shower curtain if you’ve got a tub. Tempered hinged glass can help keep water in while providing you with an open and airy look. Open layouts eliminate the need for an enclosure but can get quite cold. Simply install heated flooring and/or a heat lamp for a lovable shower experience no matter what the season is. One of the oldest and still popular shower option because it works and is very affordable, the framed enclosure can easily be modernised by using brass or chrome instead of the usual aluminum for the frame. Oil-rubbed bronze frame works too! Tiled walls paired with a frameless glass door makes for a space-enlarging option for a shower enclosure. This design also makes the most of any light source and still looks traditional with a modern twist. Love beautiful shower enclosures? Then you’d love the various stylish options found in our list of available luxury homes in Oakville! Browse our beautiful homes and simply contact us when you’re ready for a viewing.